Question: My husband and I plan to enter a continuing care retirement home next year. We have certificates of deposit maturing next year which will be enough to pay the home’s initial “upstart” fee, and we have paid off our home mortgage. We believe we can sell our present home for approximately $500,000. Several people have suggested that we consider taking back financing from a buyer of our house, but we are concerned about the risk. The retirement home is over 100 miles away from our home, and it is doubtful we will be able to periodically inspect the home after we move out. Do you have any advice for us? Answer: When you sell your home, and take back all of the financing, this becomes very attractive to a purchaser. Lenders carefully scrutinize financial histories of potential buyers/borrowers to make sure they will be able to afford the monthly payments. Furthermore, lenders charge a variety of costs, such as credit reports, appraisals, points, document preparation and underwriting fees. 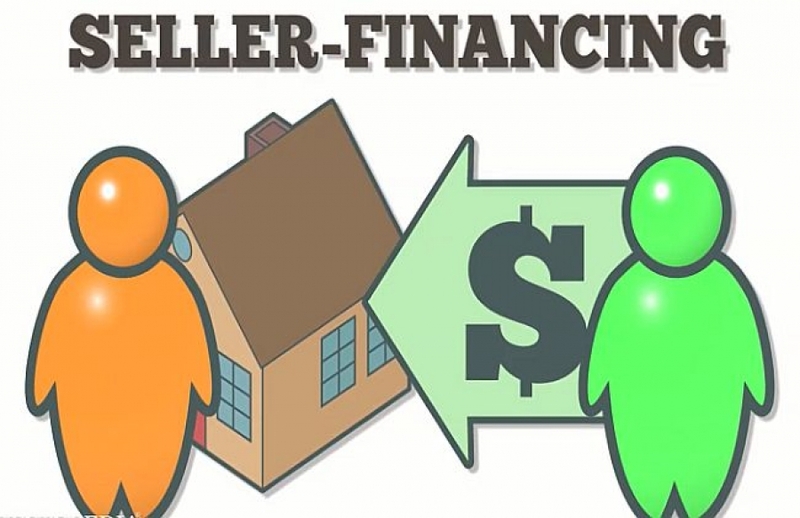 If you make a loan to your buyers, they will certainly be able to save a lot of these “lender charges.” Thus, seller financing — also referred to as “seller take-backs” — is a form of creative financing, especially in the past when we were in a sluggish real estate economy. Furthermore, if you take back financing from your buyer, you will no doubt get a better rate of return than if you merely put the money in a bank savings account. Typically, seller take backs today range from three and a half to five percent interest per annum, compared to the peanuts you get from your bank. However, there are many negative aspects to consider before making the decision to lend money to your buyer. First, although the risk is small, there is a risk factor in such a transaction. Your borrower may not be able to make the monthly payments. If you foreclose, you will have to spend a lot of upfront money going through the foreclosure process (lawyers fees, advertising costs, auctioneer charges). Additionally, you may find that the house has been stripped of many of the appliances and fixtures, and you may have to spend more money getting the house back in shape for a resale. Let us take a look at this example. You sell your house for $500,000, and pay a real estate broker a six percent commission of $30,000. Your buyer pays you 50,000 in cash, and you take back a note and deed of trust (mortgage) in the amount of $450,000, at a five percent per annum interest. If the buyer defaults, and you have to foreclose, it will probably cost you another $4-5,000 in foreclosure expenses. Let us further assume that the value of the house has not declined, but neither has it appreciated; it remains valued at $500,000. If you cannot sell the house quickly, you will once again be obligated to pay the real estate taxes and obtain insurance on the house. And when you sell the house, you will probably have to pay yet another real estate commission. Thus, while you do have certain rights in the event your buyer defaults, you may find that the various costs you have to pay may quickly eat into your retirement funds. Second, you should be aware of the bankruptcy laws. If your borrower is in default, and you begin foreclosure proceedings, your buyer can stop the process by filing bankruptcy. Filing bankruptcy puts an automatic stay on any foreclosure or other legal proceedings you may want to take against your borrower. Ultimately, you can ask the court to “lift the stay” and permit the foreclosure to take place, but there is a time and dollar expense that must be taken into consideration. You are considered a secured creditor and will have first priority against any of the assets of your buyer (after federal taxes are paid), but this will be of no consolation to you if you have to wait a long period of time before you get your money. Third, you have to anticipate that your home may decrease in value. If your buyer lets you foreclose, but if the resale price does not bring you the full amount of your original loan, once again you may be losing a portion of your valuable retirement funds. I have purposely painted a negative picture, primarily to put you on notice that there is a risk. However, many sellers are willing to take a chance, and indeed the vast majority of seller take backs work out well for the seller. Indeed, commercial lenders take this risk on a daily basis. 1. You should insist that your buyer, at a minimum, give you at least ten percent of the purchase price as a down payment. I would prefer that you receive at least twenty percent of the purchase price. Under no circumstances should you take back the full amount of the sales price. a requirement that the buyer provide you with evidence that the real estate taxes and insurance are paid. Such proof should be given you no later than 30 days after the due dates on those payments. a due on sale clause; you are prepared to lend money to your particular buyer, but do not want some stranger assuming the obligations of the loan. a provision that if the borrower defaults on one mortgage payment, you will be able to accelerate the remaining balance of the note. You do not want to have to file suit each and every month against your delinquent borrower. a provision that if you are successful in any litigation against your borrower, that you will be awarded attorney’s fees by the court. If you are inclined to go this route, consult your financial and legal advisors before you sign any legally binding contract.